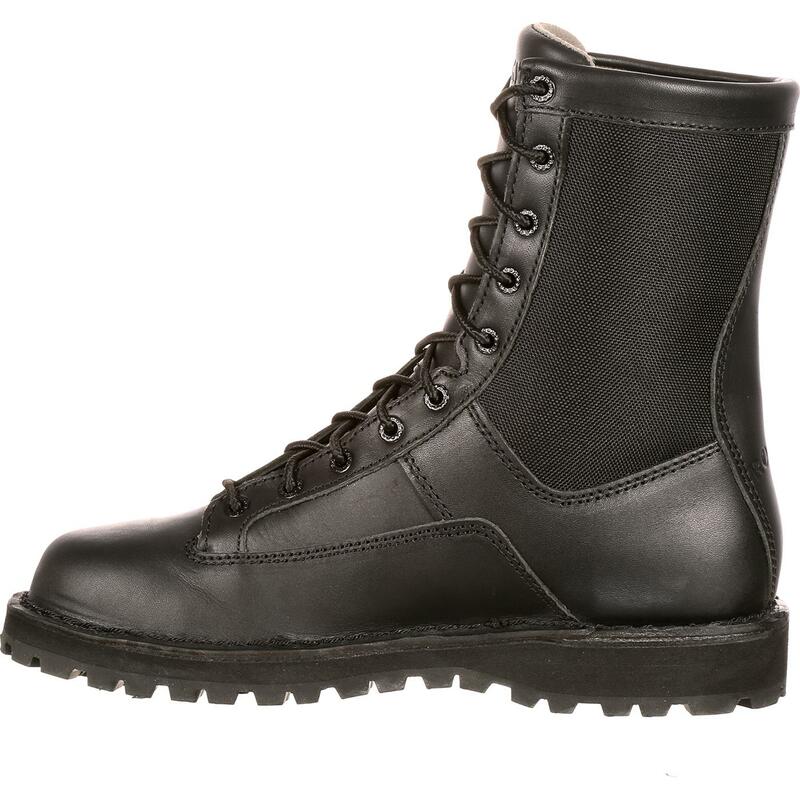 These Rocky® Portland waterproof duty boots are a combination of full-grain polishable leather and nylon. 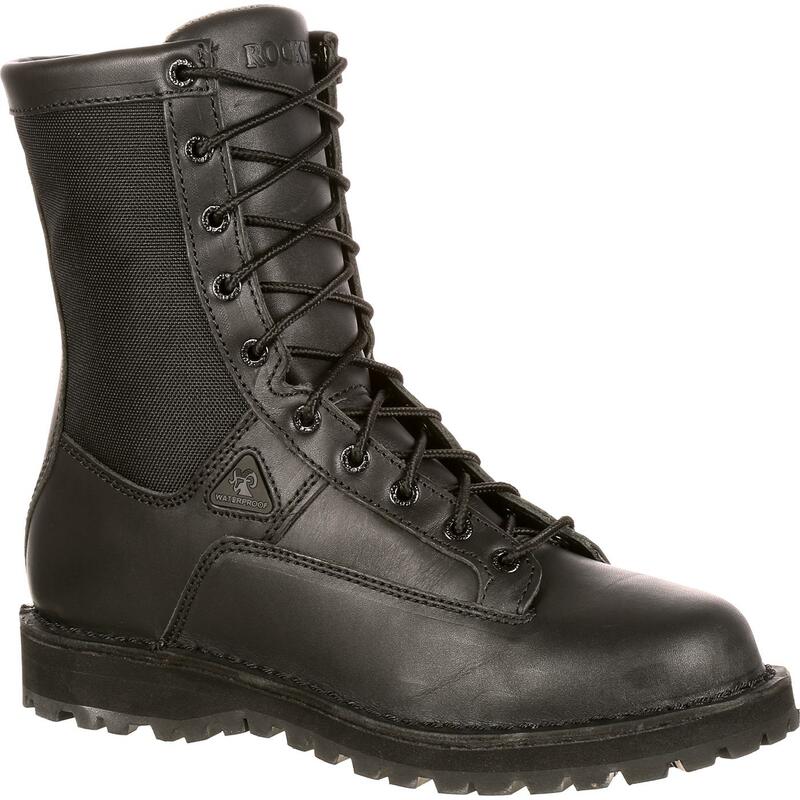 The leather looks good and adds great durability; the 1000 denier nylon is strong to resist abrasions, yet still lightweight. 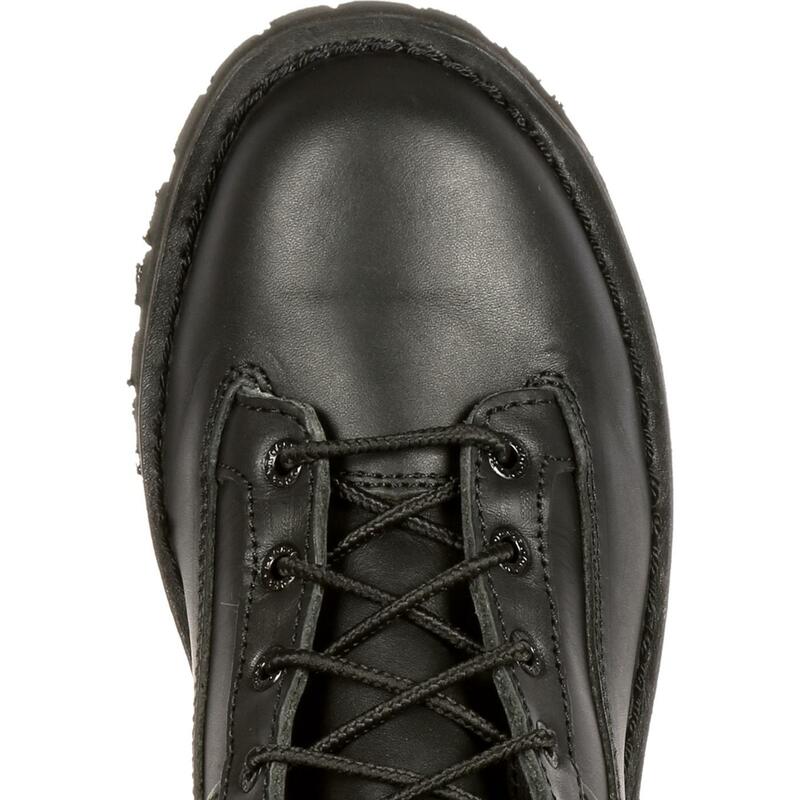 The Vibram® outsole with rubber lugs provides great traction and flexibility, so the boot soles support you when you stand or walk for hours, even if you move on uneven terrain. 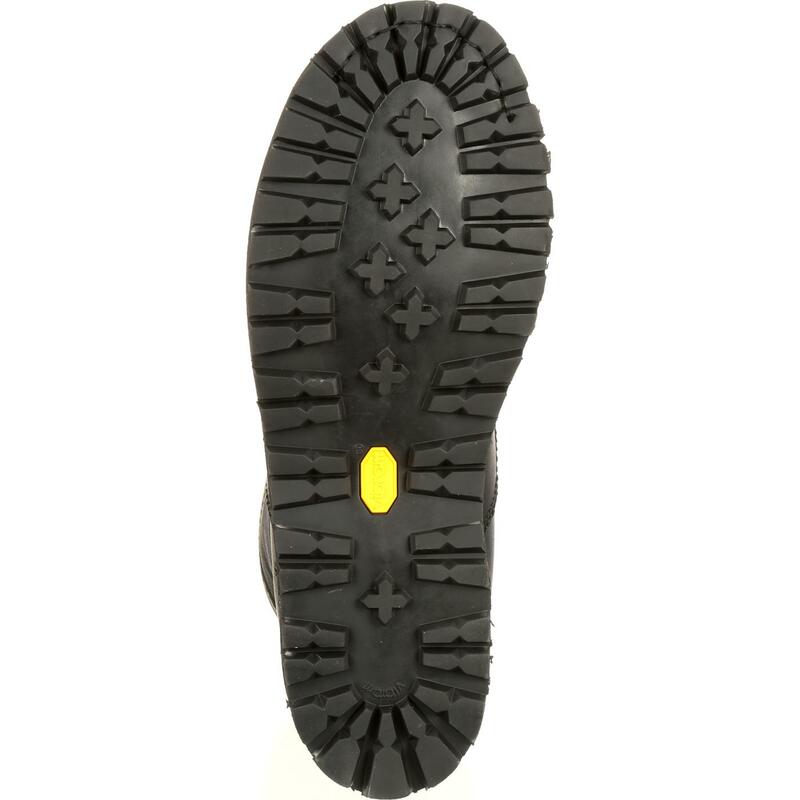 Vibram soles are durable, oil-resistant and slip-resistant. Also inside the men's black boots is a non-metallic stabilizer to provide foot support without adding unnecessary metal parts. 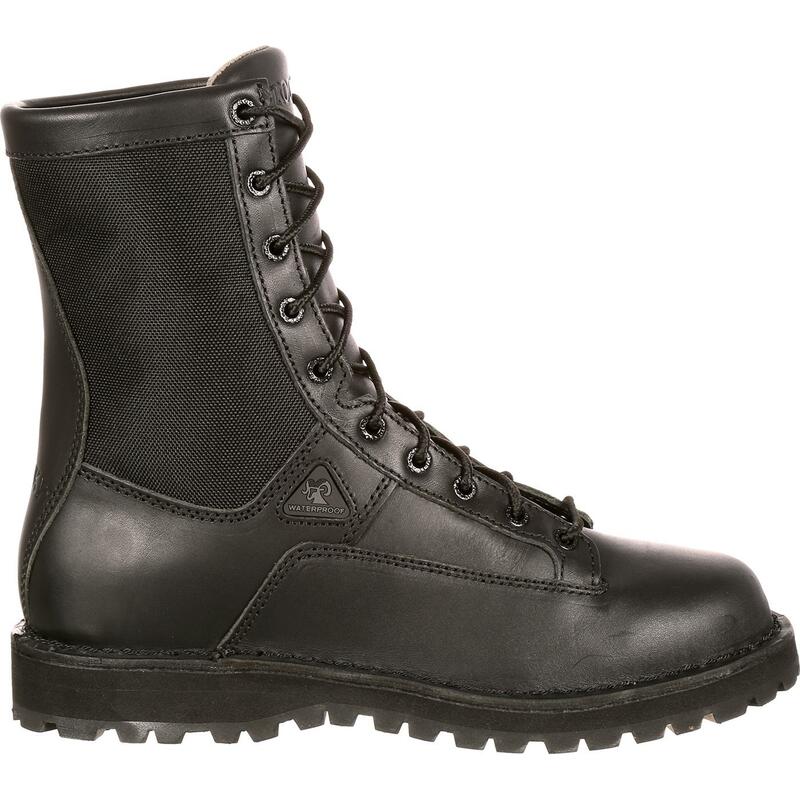 These Rocky Portland Lace-to-Toe Waterproof Duty Boots are made from hard-wearing materials and have a great fit. 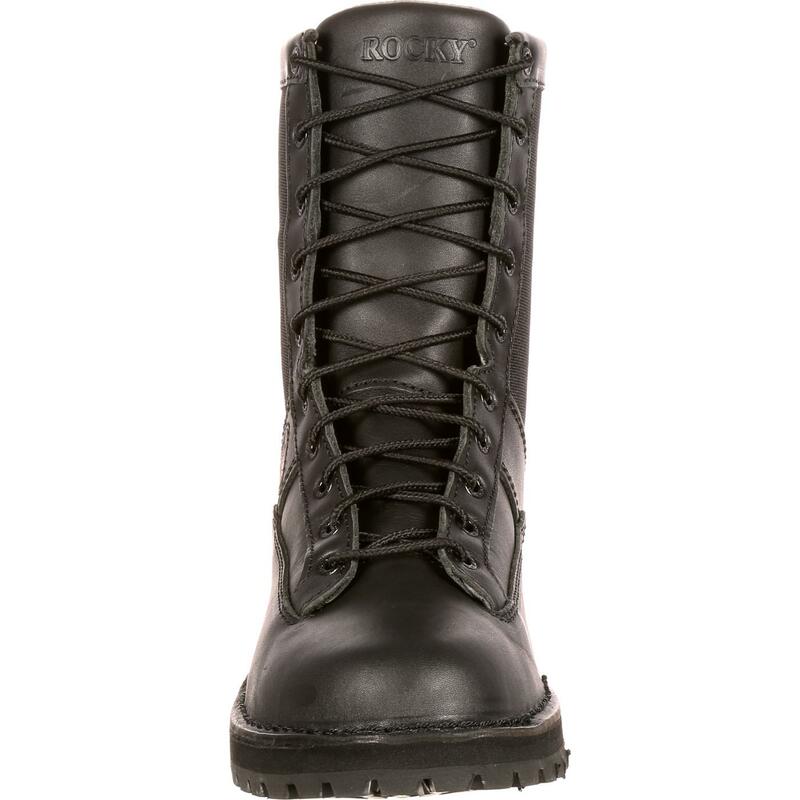 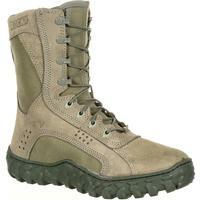 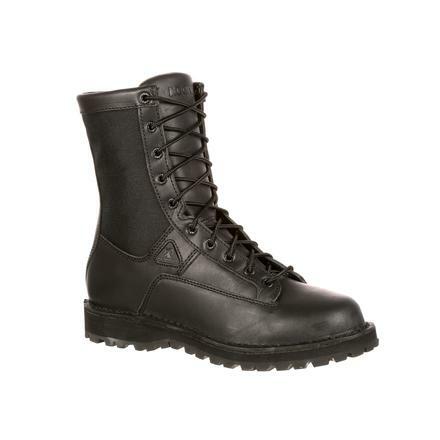 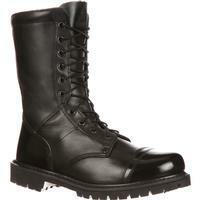 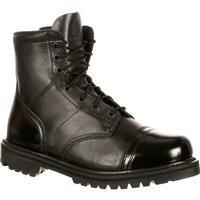 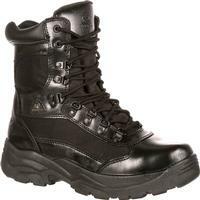 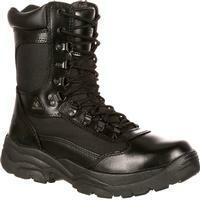 If you need new duty boots, these waterproof duty boots from Rocky are a great choice.